An intergenerational comedy about finding peace, love and understanding. New York. The middle of the night. Vera, an irascible, politically active 90-year old is awakened by her grandson Leo, who has cycled from Seattle on a trip with his best friend. In their month together, Vera and Leo bewilder each other, argue and connect as they discover the thin line between growing up and growing old. 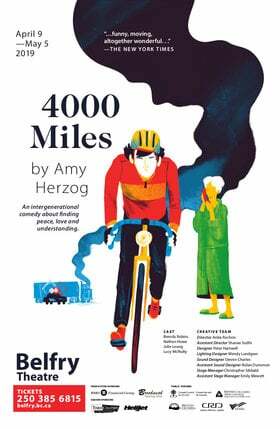 A finalist for the 2013 Pulitzer Prize, Herzog’s 4000 Miles is populated with beautifully drawn characters you’ll fall in love with.